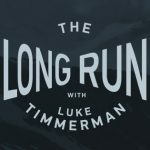 Today’s guest on The Long Run is George Scangos. Scangos is the CEO of San Francisco-based Vir Biotechnology. 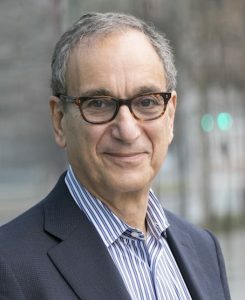 He’s best known for his last job as the CEO of Biogen, one of the industry’s biggest companies. He left that high-profile perch a little more than two years ago. Like many big company veterans, he heard the siren song to join a startup. In this case, it was from Arch Venture Partners. The vision was pretty simple. All these new technologies that are enabling advances in cancer biology, particularly with harnessing the immune system to fight tumors, could also be harnessed toward fighting infectious diseases. Everyone in the world during 2016 was trying to elbow into cancer. Not infectious disease. There was an obvious gap in the market. You make more money treating cancer than you do by making a new flu vaccine. Arch wondered – given the state of technology, what could a startup do for infectious disease if it were given a massive war chest – something like $500 million or $600 million? Many little infectious disease startups die from starvation – i.e. lack of capital. In this case, would the money help assemble the team and the technologies necessary to pull off something big? It’s an open question at Vir, at this early stage of gestation. Usually in these interviews, I ask a lot about people’s life experiences. This time, I skipped that, because I had already written a magazine-type profile of Scangos in 2011 for Xconomy. You can read that article here. The gist is that George Scangos is the product of a working-class, Greek immigrant family in Lynn, Massachusetts. It’s not far from the throbbing heartbeat of biotech in Kendall Square, but, to use a cliché, it’s culturally a world away. Scangos’s life journey is a good reminder that amazing things are possible in this country because of investments and systems put in place decades and decades ago by far-sighted leaders. It’s also important to remember today that medicine is for everyone – from Cambridge MA to Lynn MA and way beyond — especially when you’re talking about the fight against infectious diseases that are global. We talked in this conversation some about science and company building, but also toward the end about how Vir can and should think about fair and responsible pricing of its products (if it creates any). This is a conversation that needs to happen in every company, at every stage of maturation. Now, join me and George Scangos for The Long Run.